I'm dealing with a variant of APT-28s root/bootkit payload that affects my windows 10 64-bit machine. There is absolutely no way I can remove this with any known anti-virus out at the moment. I need someone to come take a look if it's possible to do something with a hand-made removal script. I simply cannot do anything the traditional way in this case, yes APT-28/Sofacy has stolen crypto from me before and after a new computer this one has grabbed what looks like the same infection. It's advanced stuff, if anyone is interested in taking a look I thank you in advance. Could you please attach RogueKiller full report with your next reply ? 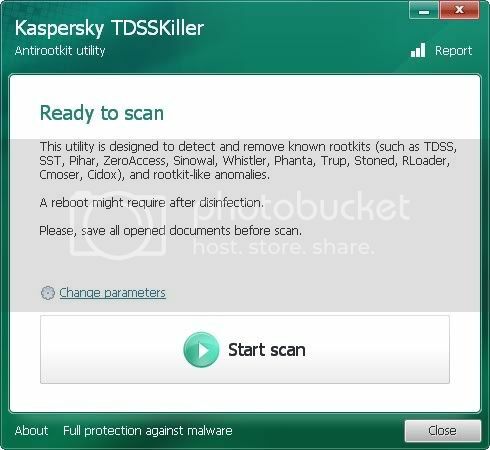 Please download TDSSKiller and save it to your Desktop. Doubleclick on TDSSKiller.exe to run the application, then click on Change parameters. Check Loaded Modules and Detect TDLFS file system. If you are asked to reboot because an "Extended Monitoring Driver is required" please click Reboot now. 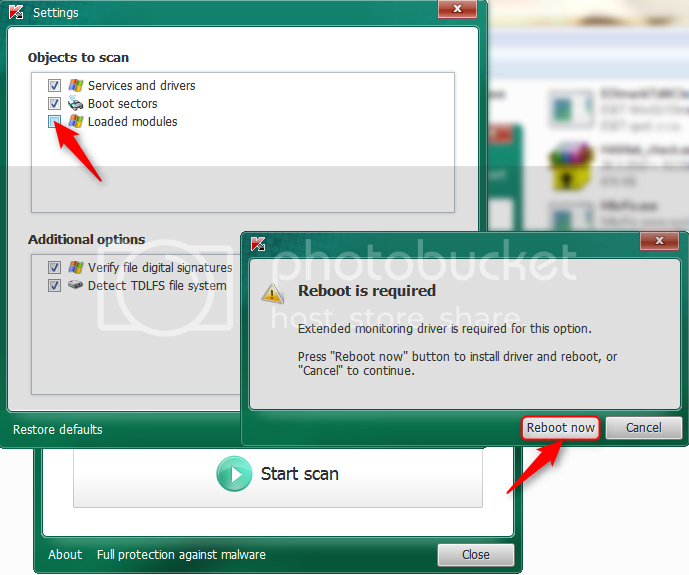 Click Start Scan and allow the scan process to run. If threats are detected select Skip for all of them unless I instruct you otherwise. Please attach the contents of TDSSKiller. [Version]_[Date]_[Time]_log.txt found in your root directory (typically C:\) in your next reply. Kaspersky found nothing. Rescue disk does not let me load. Yesterday Windows Defender detected a newer trojan version, I attached the trojan detection as well. System is not clean though. Also a newer scan of Roguekiller which catches suspicious registry edit. These were likely false positives. There is nothing suspicous in the logs you posted. Does your computer behave in a strange way ?